December 4, 2018 4:06 pm. The preparation might have been off heading to the stalls for Maximus Mischief, but the colt wasn’t fooling around when the gates opened, cruising to a 2 1/4-length victory in the Remsen Stakes (G2) at Aqueduct. Well-behaved in the paddock, the two-year-old bay colt balked at loading, kicking back at the gate crew and digging in his heels. When he finally got in the gate, he continued acting up, but any concern that he might have wasted energy with his antics was dispelled when he broke alertly, making the lead despite running well off the rail and breaking from post 6. Maximus Mischief kept a slim advantage through most of the nine-furlong race. Though the track was labeled fast, the fractions were anything but: :25.12 for the quarter-mile, :50.67 for the half, 1:14.60 for three-quarters. The winner ceded the lead briefly to Tax heading into the backstretch before grabbing command once again, and those two separated themselves from their rivals coming around the final turn. Tax took another run at him, but Maximus Mischief held the advantage as even-money favorite Network Effect ran up the rail to steal the runner-up spot by a half-length. Final time of the race was 1:51.34. Bourbon War, Jungle Warrior, Gladiator King and Chinomado completed the order of finish. 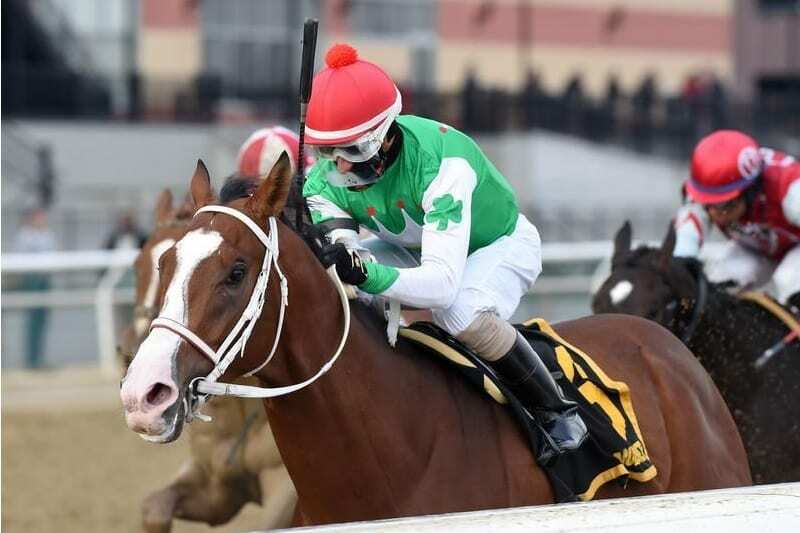 Maximus Mischief is at $26 via Bet365 to win the 2019 Kentucky Derby. By winning the Remsen, Maximus Mischief debuted on the Kentucky Derby Leaderboard with 10 points. Network Effect earned four points for taking second, Tax was awarded two points and Bourbon War garnered one point. The narrow second choice, Maximus Mischief was purchased by Cash is King Stable’s Chuck Zacney from this year’s Fasig-Tipton Midlantic Sale of Two-Year-Olds in Training for $340,000. Sold as a weanling to Machmer Mall for $165,000 at the 2016 Keeneland November sale, he failed to meet his reserve as a yearling at Fasig-Tipton Saratoga and in March of this year at the Fasig-Tipton Florida sale. By Into Mischief and out of the Songandaprayer mare Reina Maria, Maximus Mischief was bred in Kentucky by Martha Jane Mulholland. He is trained by Robert “Butch” Reid and was ridden by Frankie Pennington. Undefeated in two prior starts at Parx at 5 1/2 furlongs and seven furlongs, Maximus Mischief had no trouble with the additional distance. “He came through in fine colors as far as I’m concerned,” Reid stated. Maximus Mischief will likely get 30 days’ rest and head to Florida to compete in the Kentucky Derby preps there.